Our first Beekeeping 101 class for March 31 has filled up, so we decided to open another Beekeeping 101 class on Sunday, April 7. This April 7 class will cover the exact same content than the class on March 31. 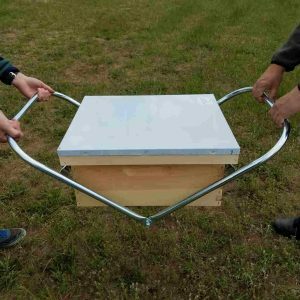 If you are starting beekeeping in 2019 we recommend you to take a class first. Since most classes in the area are already fully booked, we will try to continue opening new Beekeeping 101 classes at BeeManiacs, trying to cover the needs of all new beekeepers in the area. 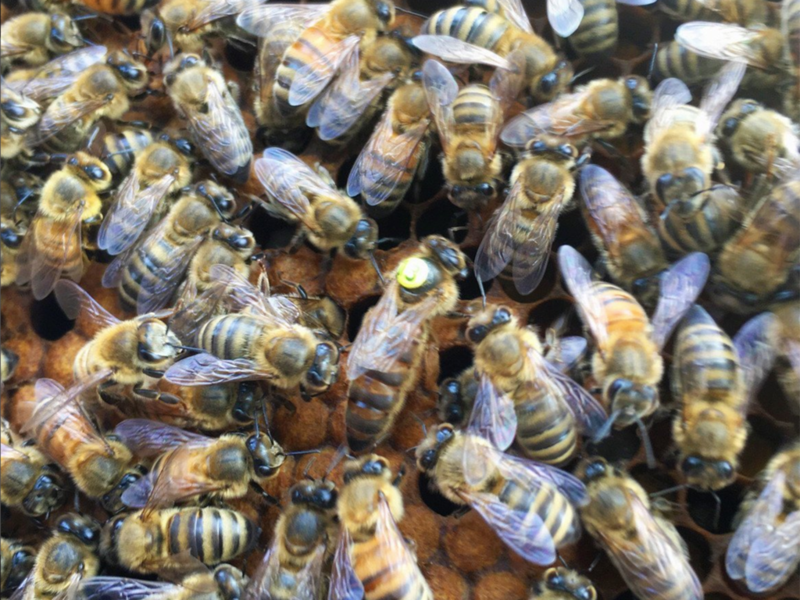 Washington State Beekeepers Association (WASBA) is organizing a conference for those interested in bees and beekeeping. Topics include scientific and informational presentations for commercial and hobbyist beekeepers. The keynote, which is free and open to the public, will feature Sarah Red-Laird, whose non-profit “The Bee Girl Organization” (https://www.beegirl.org/) promotes honey bees and honey bee habitat. The conference will be held February 9, 2019 at Eastern Washington University, Hargreaves Hall, 526 5th St., Cheney. Cost for WASBA members is $10; cost for non-members is $35. The keynote address (11am-noon) is free and open to the public. Event participants are invited to mingle and enjoy mead and honey-themed hors d’oeuvres at local venue The Mason Jar, 101 F St., Cheney, WA, immediately following the conference. 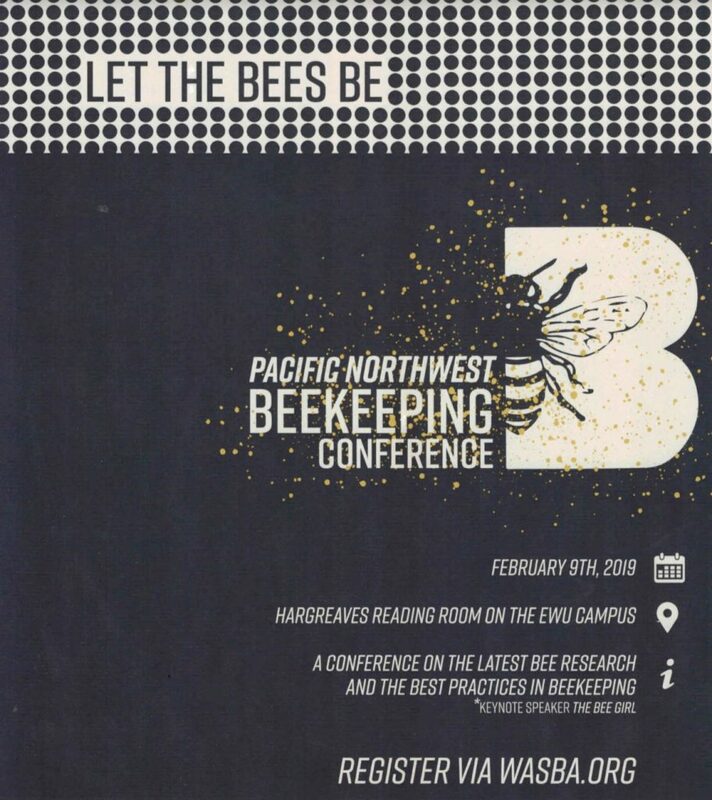 Event registration can be found via WASBA’s website – www.wasba.org – or on Eventbrite – Pacific Northwest Beekeeping Conference (https://bit.ly/2RHBWky). focused on community collaboration and environmental policy. Sarah also serves as the “Kids and Bees” program director for the American Beekeeping Federation. She is currently president- elect of the Western Apicultural Society. making (presented by BeeManiacs staff), integrated pest management, and improving bee habitat through plant choices. There are not enough beginner bee classes available and some people have to start a beekeeping season without any class support. 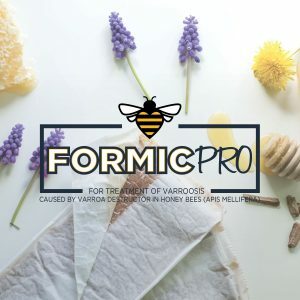 By the end of March, there are no more bee classes available and people that have already ordered live bees find themselves without training options. Some people requested classes in a different schedule than the ones offered by local clubs. This class will cover everything you need to know to get started in beekeeping. Cost is $50 per person enrolled. Students that are 17 or younger can pay 50% of class fees (minors have to be accompanied by a paying adult). 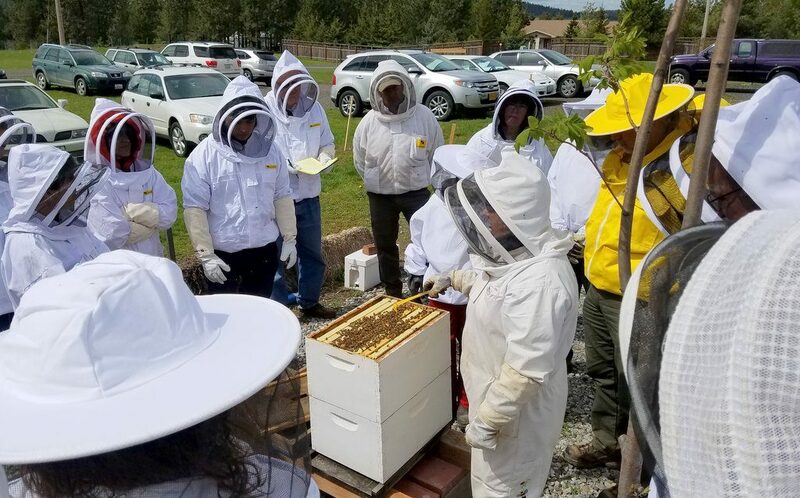 Students that join this class will have priority and free access to shorter courses (regular fee is $5 per course) and to hands-on field days through the beekeeping season (about 6 hands-on field days during the season). BeeManiacs also offers free online education modules and free support through our forum system. 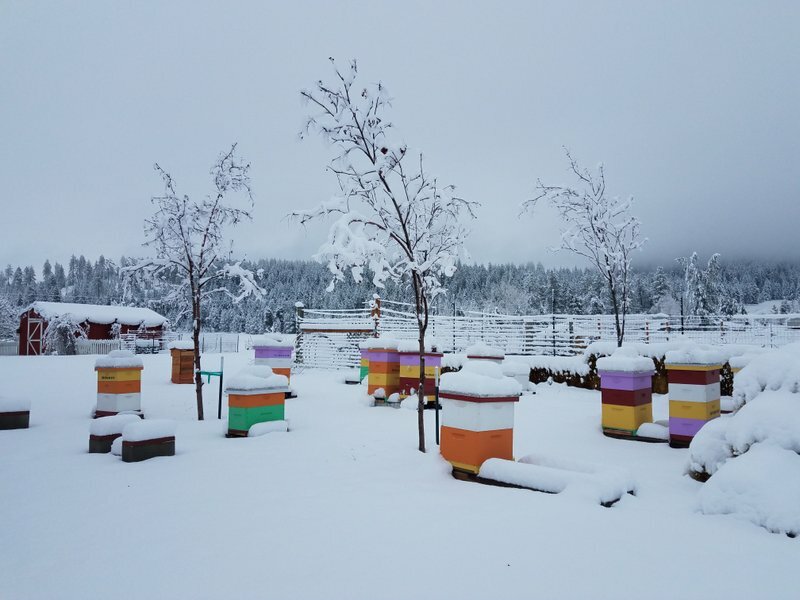 It’s that time of the year when most beekeepers in the Inland Northwest finished checking their hives, treating for mites, and feeding when needed. 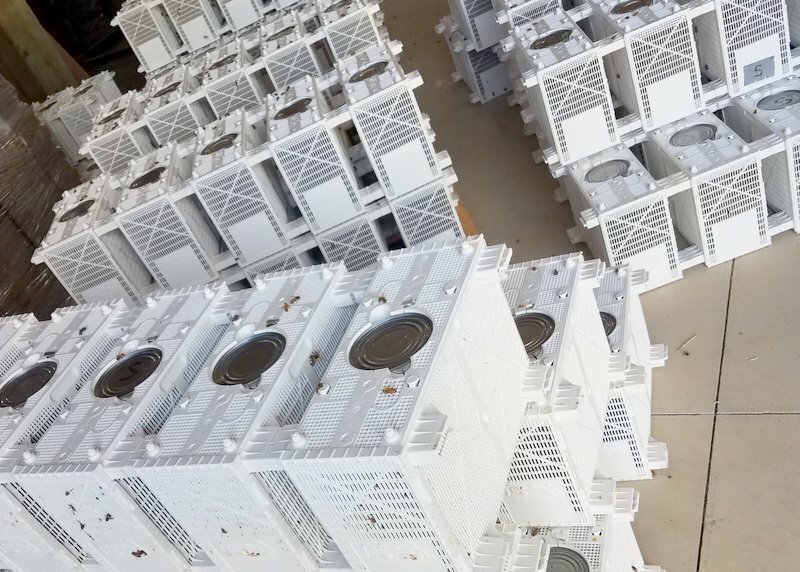 There’s no much beekeeping activity left, so we usually close our store for the season. The BeeManiacs online store remains open 24/7/365 though. 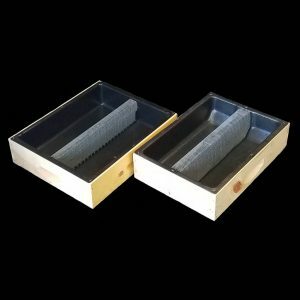 If you need any beekeeping material, you can place an order online and we will ship it to you or you can still select “pick up at the store” and we will schedule an appointment for you to pick up your order. If you rather buy items at the store in person, we can open by appointment. 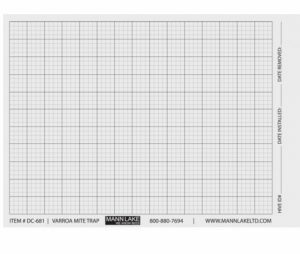 Just send us an email to info@beemaniacs.com and we will schedule your visit. We will open again for regular hours of Friday, February 15, 2019. We currently have more than 300 items loaded in our online store and we continue bringing new items every month. 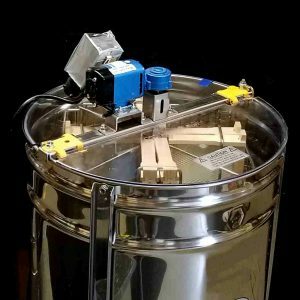 For the 2018 season, we decided to stop renting extracting kits and have instead brought in some extractors for sale. The pictures below are some of the new items that we now carry. 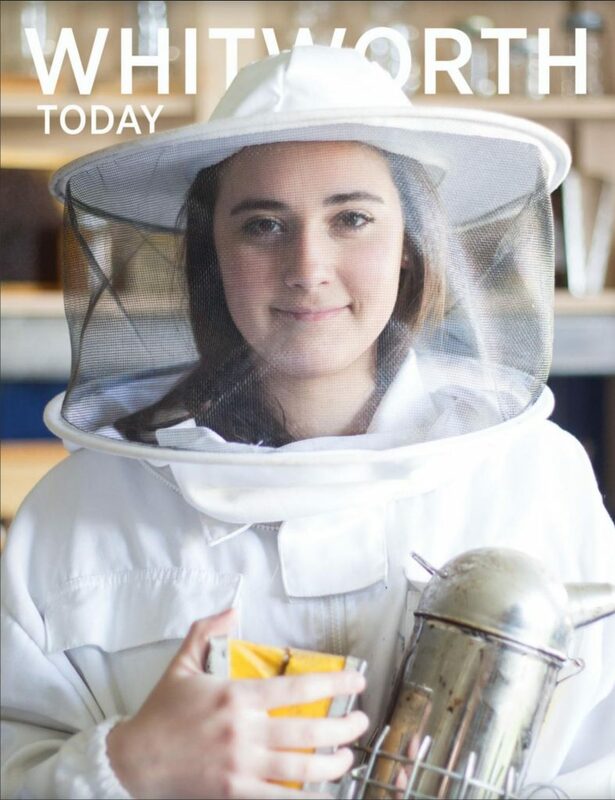 Maria, one of BeeManiacs founders, was just featured in the Whitworth Today magazine. Really nice article and great pictures.